Musculorum Tabula III, 1747 – This image by Jan Wandelaar (1690-1759)has always amazed me, particularly for his choice of background. 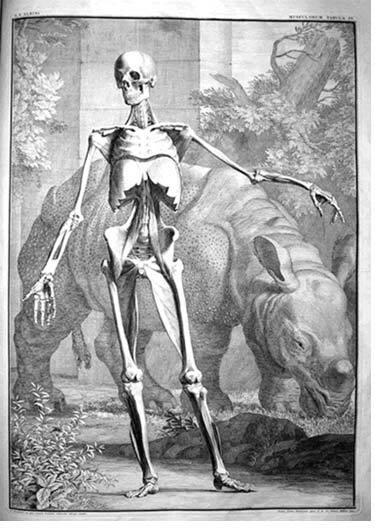 This engraving was rendered for an anatomical syllabus by Bernard Siegfried Albinus, Tabulae sceleti et musculorum corporis humani. Why would Wandelaar choose a rhino for scale? Answer: Why not?